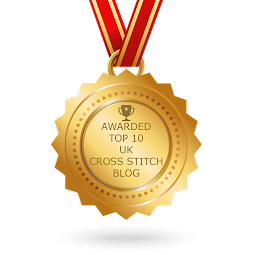 Scissor fob exchange arrived at destination and more stitching news. I have another scissor fob or two to show you, these are my latest stitching addiction! I made this for Ina in the Hooked on Exchanging blog for the Halloween exchange, I did not include any gifts for this, I usually like to make my extras but I ran out of time, I spent that much time on the stitching on this one that time just flew by and before I knew it the send date had arrived. It may not look much but there was quite a bit of work in this! It is a Just Nan pattern from a Halloween issue of Just Cross Stitching magazine from 2009, to be honest I was not too sure if I liked the design or not but at the time I did not have any other appropriate halloween scissor fob patterns. 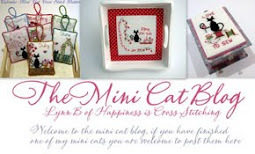 I have also been stitching a Christmas scissor fob from my Christmas Cat cross stitch design, the photos are below. And now for the Christmas scissor fob, I hope you are not bored by now! I designed this Christmas Cat cross stitch pattern but then decided to design a smaller pattern to make a scissor fob or small pillow. 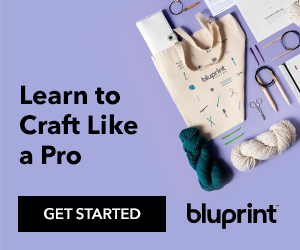 The tassel and cord were made from DMC stranded cotton. 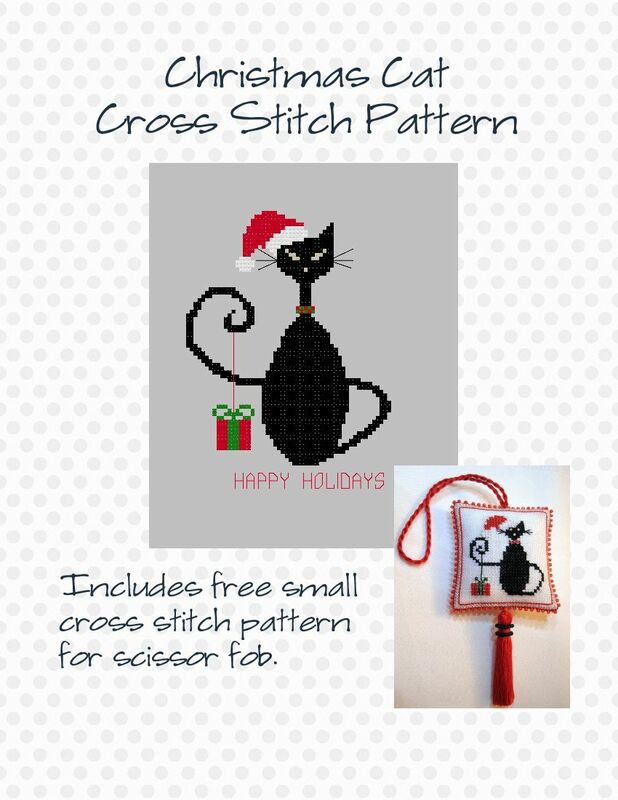 The Christmas Cat pattern is available to purchase from me, just email me in my profile. 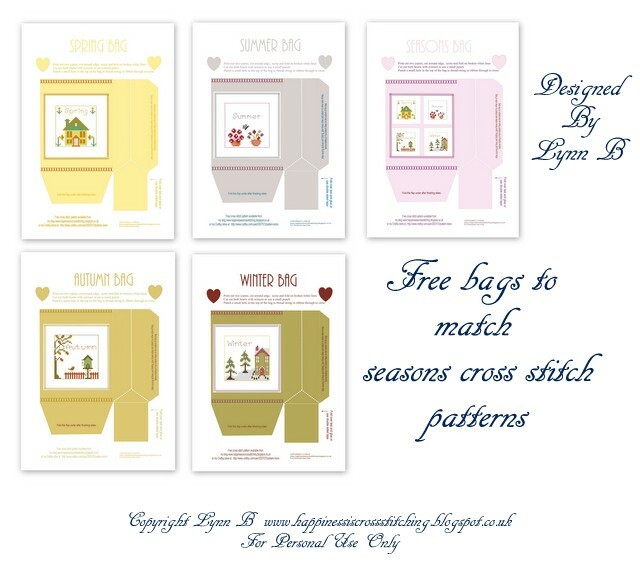 Included with the pattern is the free scissor fob cross stitch design. 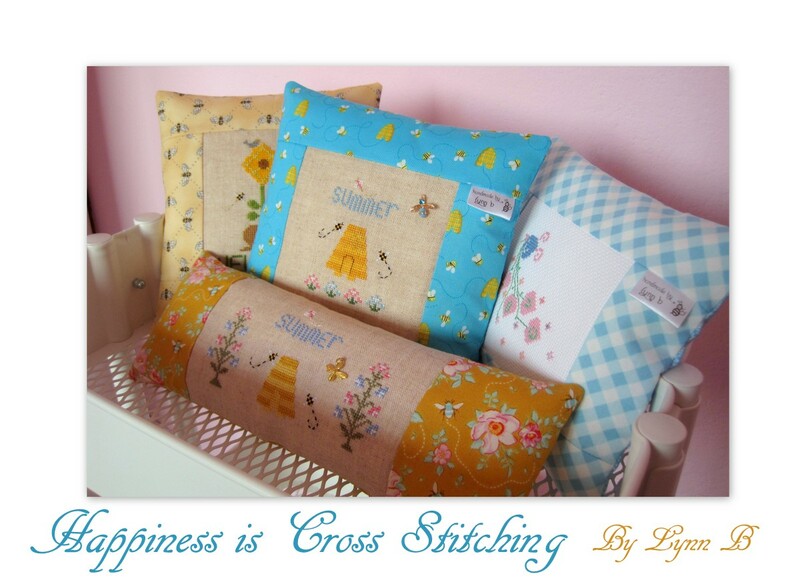 Until next time, happy stitching everyone! Halloween exchange received from Lisa. Hi everyone, I have received the halloween exchange from Lisa S, it is a lovely scissor fob with a small pumpkin charm that jingles when you shake it, isn't it cute! Thankyou so much Lisa for this lovely exchange, I love it!